Hereafter collectively referred to as “Tablet”. Hereafter collectively referred to as “Additional Accessories”. Microsoft Office Pro Plus 2016, or 365 – including Word, Excel, OneNote, OneDrive for Business, Outlook, PowerPoint, and Publisher. Hereafter collectively referred to as “Software”. Ownership: The School shall be deemed to have retained ownership to the Tablet and Software always unless the School transfers the ownership. The Student shall hold no security or ownership interest in the Tablet or Software. Likewise, the Student shall hold no security or ownership interest neither in the licenses to the installed software included with the Tablet nor in the licenses to any Software that the School may from time to time install on the Tablet used by the Student. The School shall be deemed to have retained no ownership to the Additional Accessories at any time, unless the Student transfers out of the School before graduation from the School or the Student transfers ownership to the Additional Accessories to the school. The Student shall hold security and ownership interest in the Additional Accessories while enrolled at the School. Terms of Tablet Use: The Student shall return all Tablet, Software, and Additional Accessories itemized above in good operating condition to the Information Technology Department of the School if the Student is not enrolled in the current school year (unless the School transfers the title). A pro-rated buyout can be arranged if the Student leaves the school before being graduated. Upon graduation, the student may purchase the Tablet PC for $50.00. Tablet Storage and Use at School: The Tablet and Software must be on the School’s premises during each of the Student’s normal school days. During the School’s normal business hours or after school, when the Student is not in the immediate presence of the Tablet, the Tablet must be secured in a locked locker or other secured, approved, location. Use of Tablet, Additional Accessories, and Software: The primary use of the Tablet, Additional Accessories, and Software by the Student is for the Student’s educational programs. The Student may use the Tablet, Additional Accessories, and Software for other purposes only to the extent that those purposes do not interfere with the primary uses nor violate any school policies and state or federal laws. Compliance with Software Licenses: The Student shall not make copies of the Software licensed to the school. The Student is responsible for compliance with the license terms of any other licensed software, and the Student agrees to hold the School harmless for any violations of such license terms. Backup Requirements: The Student may store documents or other files on the Tablet, and the Student is solely responsible for making backup copies of the Student’s own documents or other files. It is recommended to backup all documents or other files on the provided cloud platform: OneDrive for Business. In the event of loss of such documents or other files, the School’s responsibility is limited to reloading the School’s standard Software on the Tablet. Care and Warranty of Tablet: The Tablet may only be used in a careful and proper manner. The Student shall keep the Tablet in good operating condition, allowing for reasonable wear and tear. The Student shall immediately notify the School’s Information Technology Department if the Tablet is not in good operating condition or needs repair. The School has purchased an Accidental Damage & Handling warranty, hereafter collectively referred to as “ADH warranty", from the manufacturer covering the Tablet for 3 years from drops, spills, and other types of physical damage. The School honors the warranty on the Tablet. The School is not responsible for any damage or defect that does not fall within the scope of the manufacturer’s ADH warranty. The ADH warranty is voided if anyone other than the Holy Cross High School Information Technology Staff attempts to open the Tablet and attempts to service it. For any damage beyond the school’s Information Technology’s ability to repair, the ADH warranty permits the student up to two (2) Tablet replacements for 3 years after the purchase date of the Tablet. Any damage to the Tablet exceeding two (2) Tablet replacements will hold the Student financially responsible for the repairs or replacement. The Student is financially responsible for any costs that have exceeded the 3-year ADH warranty. The Student is financially responsible for repairs due to negligence or willful destruction. The Student shall not deface the Tablet. (No personal stickers and no writing on the Tablet.) 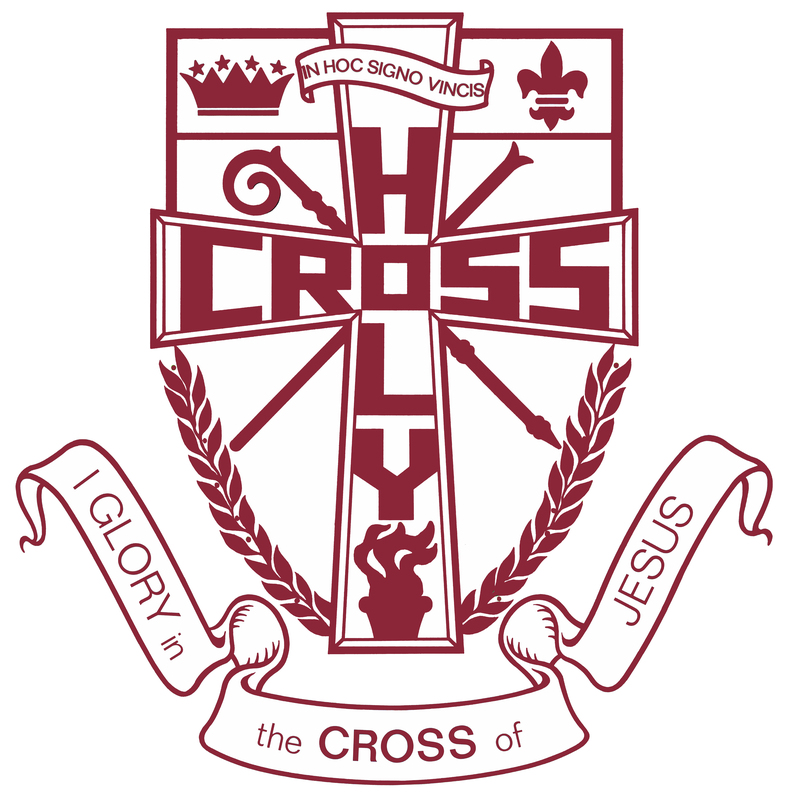 The Student agrees to properly care for the Tablet as outlined in the Holy Cross High School Student Handbook. 4th year Tablet Warranty Expiration: The 3-year ADH Warranty expires 3 years after the distribution date of the Tablet. This will coincide with the 12th grade year of the Student. After the expiration of the 3-year ADH warranty, the Student will be held financially responsible for the following: physical damage to the Tablet, hardware failure on the Tablet, Tablet battery failure, water damage to the Tablet, and any other Tablet issues. In the event of physical damage to the Tablet, hardware failure on the Tablet, Tablet battery failure, water damage to the Tablet, and other issues that deem the Tablet unusable, the School will assist the Student in finding a suitable replacement Tablet or repair shop the Tablet can be taken to. The School will assist the Student financially in the amount of $150 on the 1st repair or replacement needed after the expiration of the 3-year ADH Warranty. The School will allow the Student to borrow a loaner Tablet, while the Student seeks a replacement Tablet or awaits the repairs at a shop. Software will still be covered under the warranty during the 4th year. Care and Warranty of Additional Accessories: The care and proper usage of the Additional Accessories are the sole responsibility of the Student. It is recommended that the Student keeps the Additional Accessories in good operating condition. The School honors the manufacturer’s warranty on all the Additional Accessories. The School is not responsible for any damage or defect that does not fall within the scope of the manufacturer’s warranty. The warranty is voided if anyone other than the Holy Cross High School Information Technology Staff attempts to service the Additional Accessories. The Additional Accessories are covered under a one (1) year Standard Manufacturer Warranty for any Accessory Malfunctions. The Manufacturer warranty does not cover damages by use with products not sold or licensed by the Manufacturer; Additional Accessories opened, modified, or tampered with, or its serial number is altered or removed; damages by any external cause (including for example, by being dropped, exposed to liquid, used with inadequate ventilation, etc. ); or scratched, dented, etc. or shows other cosmetic damages. The Student has one (1) year from the original purchase date of the Additional Accessories to notify the School’s Information Technology Department if the Additional Accessories are malfunctioning. Any of the Additional Accessories that are malfunctioning after the one (1) year Manufacturer Warranty has expired will hold the Student financially responsible. The Student is financially responsible for any repairs not included in the one (1) year manufacturer warranty and outside the expired one (1) year manufacturer warranty. Right of Inspection: The Student shall on demand make the Tablet and Software available to the School’s Technology Department as necessary for purposes of inspection, maintenance, repair, upgrading, and/or software installation during the School’s normal business hours. Loss: The Student assumes all risks of loss of the Tablet, Additional Accessories, Software and agrees to return it to the School in the condition received from the School, except for normal wear and tear. Indemnity of School for Loss or Damage: If the Tablet and/or Software, is damaged or lost due to negligence, the School will require the Student to reimburse the School financially for the replacement cost of such Tablet and/or Software. Entire Agreement and Modification: This Agreement constitutes the entire agreement between the parties. No modification or amendment of this Agreement shall be effective unless in writing and signed by both parties. This Agreement replaces any and all prior Tablet Lease agreements between the parties. Disclosures: The Student and his/her Parent/Guardian hereby agree to these policies and regulations.